The authorized Bangladeshi Passport site is www.passport.gov.bd. Bangladesh Immigration Department is issuing it. Online application form or can download the proper form from the appropriate link and print it then fill it correctly. We advise our visitor flow BD government website. Read all their requirements then proceed. In every district, there is a regional office. Dhaka has its central office. Here the website link for Bangladesh MRP Passport and renewal form for Bangladeshi national are available in the blank format, and one can easily download the blank form and print it. 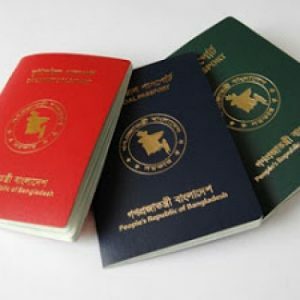 Bangladesh government provides three types of passport for Bangladesh citizens. Need to deposit fees in Shonali Bank. First thing needs to do to apply for the passport on online. BD government has an official website for this purpose. There are three categories of passport. Apply online Application for Bangladesh MRP Passport. This is the most common type of passport for Bangladeshi citizen. General citizen possesses kind for the passport for travel and business.The maximum validity is years, which can be 10 years. It is a Government Officials passport. It provides the holder visa-free access to individual countries such as Russia, China, Cambodia India, Singapore, Malaysia, Kuwait, Cambodia, South Korea, Indonesia, Vietnam, Myanmar, Chile, Turkey, Laos, Belarus, India. Diplomatic community people of Bangladesh hold this type of Passport. Also, the Members of Parliament receive this kind of privileged passport. This passport provides visa-free access to a lot of countries than the “official” passport. 1. Deposit Money in Bank. 2. Fill up the online form. Passport delivery depends on Police verification report. Read the Passport Application Form correctly. Keep smiling face, people ar not friendly there.